Suitable for all levels of photography experience, including beginners. Take a step back in time and experience the raw beauty of the largest cool temperate rainforest in the southern hemisphere, the takayna/Tarkine - and learn how to capture its beauty from the professionals. With World Heritage significance, this 65 million year old rainforest sits in the North-West region of Tasmania and is a hidden gem for tourists and locals alike. Come with us to experience this ancient rainforest, full of cathedral-like groves with mosses and fungi carpeting the forest floor, and discover why our guests have “life-altering” experiences in this “untouched paradise”. Spend your evenings accompanied by views of the forested valley whilst indulging in some fine local produce; the perfect way to end each day of total forest immersion. Designed with a broad range of fitness and photography skill levels in mind, this four-day tour provides everyone with access to the stunning takayna/Tarkine wilderness while still maintaining that level of comfort. 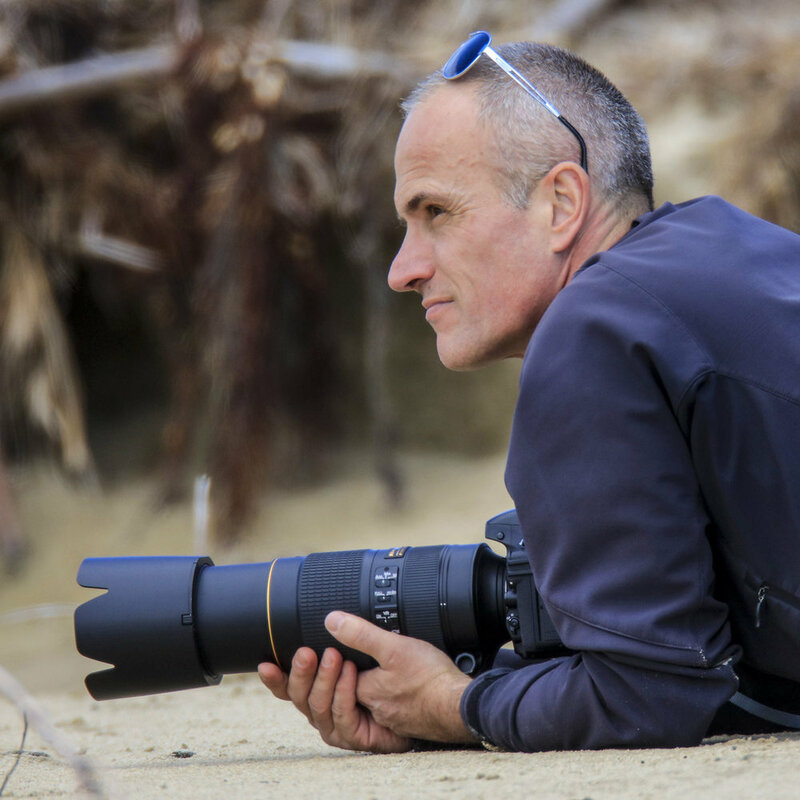 Loic Le Guilly has been a professional photographer for 20 years with a passion for nature and landscape photography. He is also a specialist in night photography and 360 degree imaging. Loic and Rob also encourage you to contact them before the trip with any questions or for more information. Our first day will take you from the inevitable hustle and bustle of the city into the vast quiet of the takayna/Tarkine. The trusty Tarkine Trails bus will swing past your Launceston accommodation and head towards Tasmania’s north-west region. You'll get to know your fellow trekkers as our guides will keep you entertained. They'll also ensure everyone’s gear is ship shape, then it is onward to where a dusty, nondescript road veers west off the highway and into the takayna/Tarkine. It'll seem like an odd place to stop and unload - in the middle of the dusty track with no signs of human life around - but duck in past the trees and you'll find yourself in a vast, tumbling forest. It is such a stunning shift from the world you have left behind, you may need a moment to adjust. Just inside the forest you'll find John Lynch Creek and the first of many photographic opportunities. After spending some time amongst the small rainforest stream, it is a short climb to Tiger Ridge base camp, with many more awe-inspiring photo opportunities along the way. Upon reaching the base camp, you'll have a short time to settle in before the second photo practice, theory and processing session beings in the later afternoon. 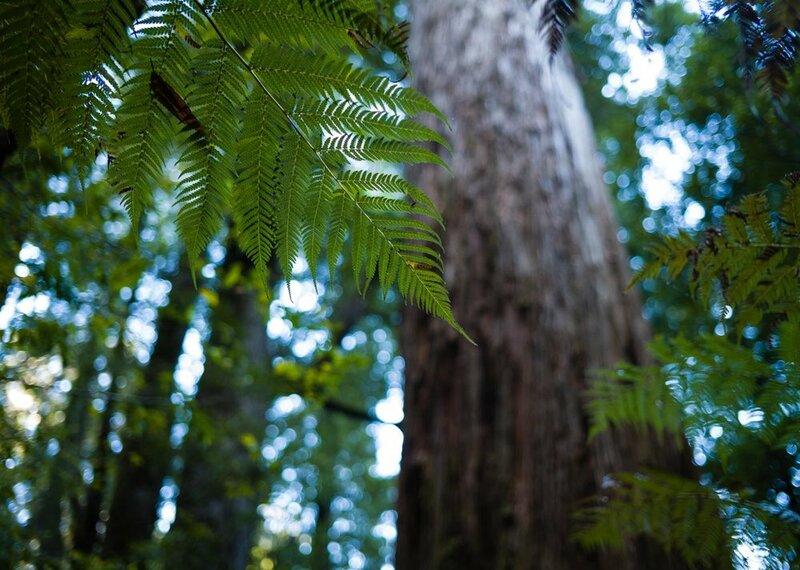 By the end of today while sipping on some local wine and going through your photographs, or indulging in the views of the deeply forested valley, you will realise why the Tarkine captivates and inspires so many! Day two focuses on the beautiful forests to the east of Tiger Ridge. Today is about getting to know and understand this cool-temperate rainforest in its many forms. Yesterday you may have noticed the expanse of the rainforest - and today you'll discover the tiny ecosystems hidden within - unique fungi, plants and insects that often go unnoticed to the untrained eye. Take your time to capture this untouched landscape and all its hidden gems along the way. Returning to camp in the afternoon to learn how to process your incredible images from the day, whilst our guides cook you a delicious hearty meal. Our day today features a slow walk down to the Huskisson River, meandering through towering myrtles providing cathedral-like groves with mosses and fungi carpeting the forest floor. There's always something new to see in the takayna/Tarkine. Walk beneath the most ancient of rainforest forms – the cathedral-shaped callidendrous forest. From a creek to a river, explore your new skills via the Huskisson, as it flows through the remote, forested valley. The Huskisson itself is a wild river that broadens in the valley floor providing exceptional photographic opportunities. The return journey follows the same marked route, enabling everyone to choose their own pace and photographic freedom. Returning to camp in the afternoon to process your collection, over yet another delicious meal. You'll awake to your last morning in the takayna/Tarkine – but we’ll let you ease into it with a delicious breakfast. As you walk back to where the journey began, there is a chance to compare your new skills with a few more shots of the John Lynch Creek. From here there is one last stop before we are homeward bound -- we can’t leave without visiting one of the hundreds of waterfalls that bless the region! After lunch we’ll continue our homeward journey, giving you time to reminisce on the rainforest that captivates and inspires so many -- one you'll have spectacular photos of for years to come. This tour is designed to give people with a broad range of fitness levels access to the stunning Tarkine wilderness. We've had a large range of ages and fitness levels complete the Tarkine Rainforest Walk. This includes teenagers all the way through to 80-year-olds! Walking in a rainforest environment like the Tarkine is certainly different to taking a stroll on the street, or on regularly maintained bushwalking trails. There are hills and slopes, easy sections and more challenging sections - and sometimes a fallen hundred-year-old tree or two to get over. Our guides take great care to help those that need it, and the challenging sections are always taken slowly and carefully. If you've completed overnight bushwalks with full packs recently, you might find these walks slightly challenging, but well within your experience. If you've never done a 4-5 hour bushwalk before, but consider yourself fit and confident, you will likely find these walks challenging but doable. If you've never really done any extensive walking and consider yourself very unfit, you may well still be capable of this trip - however we would recommend a pre-trip training regime, along with discussing your fitness level your doctor and our staff. Another consideration is carrying your gear. To get to and from base camp, your gear does need to get up the hill! We expect, based on our packing recommendations, that your gear will weigh between 8-12kgs, which is a comfortable carrying weight for many. However if you are concerned about carrying this pack weight, you can select the option of using our power carrier. This means you will only need to carry your lightweight day pack (including water bottle, snacks, wet weather gear, etc). We want this trip to be a rewarding challenge for our guests, not a stressful experience. We have two guides accompany all walks to cater for all fitness levels - you should never worry about holding up other members of the group. That said, it is important you ensure the trip is within your capabilities before booking. As we travel to a remote wilderness area, we reserve the right to request all our guests complete a provided medical form to ensure your safety, and that of our other guests.